The BACP Nottingham Private Practice Network group meet every two months at Sir Julien Cahn Pavilion, near Asda, Loughborough Road, Nottingham on a Saturday morning. Student counsellors, qualified counsellors, those who work in private practice and those who work for organisations are all welcome to attend. Our purpose is to provide support for each other, share expertise, network and build our own community within Nottingham. Refreshments are included plus you get a BACP CPD certificate. 16 May 2015 - Equine therapy with Michelle Furlong. 25 July 2015 - Cultivating presence with Michael Dempsey. 5 September 2015 - Secure and insecure attachments, neuroscience and grief with Mel Wilson. 14 November 2015 - Anger; a group exploration facilitated by Kathleen O’Driscoll . Booking is essential and done so via the BACP website. Search for BACP network meetings - Nottingham. Depending on your type of BACP membership, each meeting costs from £5 -£15. 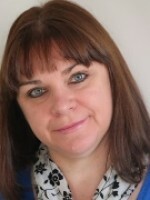 Sarah Taylor, BACP Regional Co-ordinator (Nottingham) Private Practice Network Group.